The world changed for Jay Z on June 25, 1996. That’s the day his debut album “Reasonable Doubt” was released, dropping the needle on the start of what has been one of the most epic careers in the music industry. In the past 20 years the man who was born Shawn Corey Carter and who grew up in Brooklyn’s Marcy Projects at a time when they were plagued by crime and drugs has gone from slinging drugs to taking over corporations. In May, Forbes estimated his net worth at $610 million, placing him at number three behind Sean”Diddy” Combs ($750 million) and Andre “Dr. Dre” Young ($710 million) on the list of Hip Hop’s Wealthiest Artists 2016. And now there are reports that Apple is in talks to buy his streaming service Tidal. He’s a hustler, baby, we just want you to know. Here are just some of the many hats the man who once famously rapped “I’m not a businessman, I’m a business… man” has worn, all the while building on what he learned in the hood. The Jigga man has been very open about his past as an illegal pharmaceutical entrepreneur, both rapping about it and discussing it in interviews. It helped prepare him for the cutthroat music industry, he has said. Though if you think it’s tough out here on the charts, it’s nothing compared to what Jay saw on the streets. Jay has sold millions upon millions of records and was one of the pioneers who helped to define urban music in the late 1990s and early 2000s. He’s won multiple awards including 21 Grammys and a Sports Emmy for outstanding music composition/direction/lyrics in recognition of his Super Bowl XLIV opener of his song “Run This Town” featuring singer Rihanna. In 2013 he broke a Spotify record whern his “Magna Carta Holy Grail” album was streamed 14 million times. This from a man who once famously “retired” from rap. Every successful dealer knows the key is controlling your product. In 1996 Jay Z formed Roc-A-Fella Records with friends Damon “Dame” Dash and Kareem “Biggs” Burke specifically to market the rapper‘s music. Over the years their artist roster grew to include such names as Kanye West, Memphis Bleek and Beanie Sigel. Jay Z and his partners sold Roc-A-Fella to Island Def Jam and he was appointed to a new role as president and CEO of Def Jam Recordings in 2004. In 2008 the rapper founded an entertainment company, Roc Nation, which includes a record label that is home to artists like Drake, and Rihanna. A strong crew is everything in the game. Before there was ever any talk of a potential deal between Apple and Tidal, Jay was all about streaming music. In 2013 he strategically partnered with Samsung to make his “Magna Carta Holy Grail” album available first via download on specific Samsung phones over the July 4th weekend. 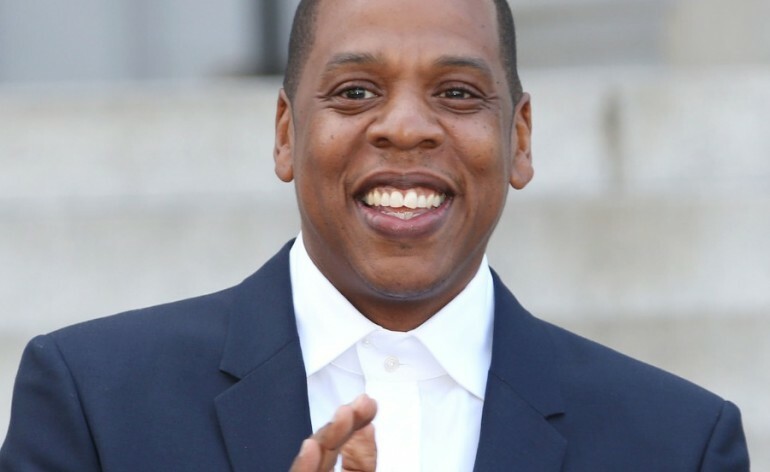 It was consistent with other high profile partnerships he’s made throughout his career: His Roc Nation label came about in part thanks to a $150 million profit sharing deal with entertainment giant Live Nation. In 2015 Roc Nation announced it would be teaming with Philymack, the management firm that oversees pop stars Nick Jonas and Demi Lovato. Who could ever forget that the rapper once owned a small part of the New Jersey Nets, and helped make them the Brooklyn Nets? He is credited with — or blamed for — the creation of last year’s “Jay Z rule” which said teams can only have 25 or fewer individual owners with each owning at least a one percent stake. According to Grantland, Jay Z only owned 0.15 percent of the team before he sold his stake to Jason Kidd and an unidentified investor in 2013. That same year Jay Z formed Roc Nation Sports, which manages professional athletes. He’s also been savvy enough to get pieces of various businesses over the years including the 40/40 Club sports-bar chain. And he’s an investor in several other restaurants, starting with New York hotspot The Spotted Pig. “I made the Yankee hat more famous than a Yankee can” he rapped in his 2009 hit “Empire State of Mind” — and he’s not wrong. His early understanding that the street style of hip hop was one fans wanted to emulate led him and Dash to establish the urban apparel line Rocawear early on. He cashed in on it when he reportedly sold the rights to Iconix Brand Group in 2007 for $204 million. What is success if you don’t have anyone to share it with? Of course, since it’s Jay, the biography debuted in the top five of the New York Times bestseller list.